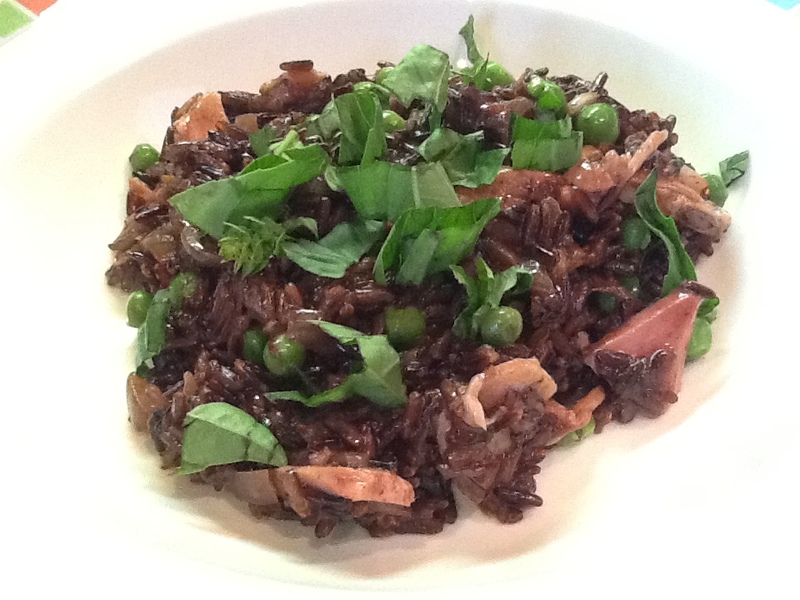 I've been experimenting with black rice recently, mainly as a side dish. I came across this recipe on foodnetwork.com, and thought I would try it. I added pancetta and peas to the original recipe to add more flavor, and to take care of the veggie portion of the meal. If you haven't heard of or cooked black rice before, here are a few reasons why you should give it a try: 1 serving of black rice contains 2% of your daily values of iron, and 8% daily values of fiber (double the amount found in brown rice), it has high levels of antioxidants, which are thought to fight cancer and heart disease, and it has the highest amount of protein when compared to all other types of rice. This risotto (served without pancetta for your little one) is for little ones 10+ months, you can also puree the risotto and peas for little ones 7+ months. Bring the broth to a simmer in a pot over medium-high heat. Cover and keep warm. Heat the olive oil in a large saucepan over medium heat. Add the onion and cook until soft, about 4 minutes. Add the rice and cook, stirring, 1 minute. Reduce the heat to medium low. Stir in the wine until the liquid is absorbed, about 3 minutes. Ladle in 3/4 cup hot broth and cook, stirring constantly, until the liquid is absorbed, 6 to 7 minutes. Repeat with the remaining broth, adding 3/4 cup at a time, until the rice is tender but somewhat chewy, about 50 minutes. Add frozen peas before you add the last ladle of broth and stir until liquid is absorbed. Stir in 3/4 teaspoon salt, pepper to taste and 1/2 cup parmesan. Remove your little one's portion and set aside. Add diced pancetta to the main risotto and stir for 2-3 more minutes. Divide among bowls. Top with the remaining 1/4 cup parmesan and the basil. Serve and enjoy! 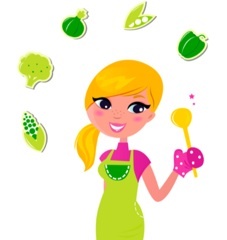 If you are pureeing your little one's portion, add a little water and then put in food processor.